The Philippine green mussel, locally popular as "tahong", is known to all Filipinos. 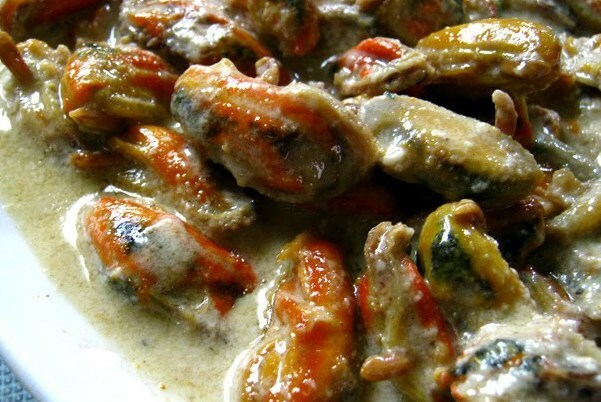 Ginataang Tahong or Mussels cooked in Coconut Milk is a common Filipino Recipe involving Marine Mussels. 1. In pan heat oil and add garlic, siling labuyo, ginger and emon grass. 2. Add the mussels and add the coconut milk. Cook till all shells open. 3. Add sesame oil, lime juice and Ajinomoto Umami Super seasoning. 4. Serve in bowls with rice on the side.